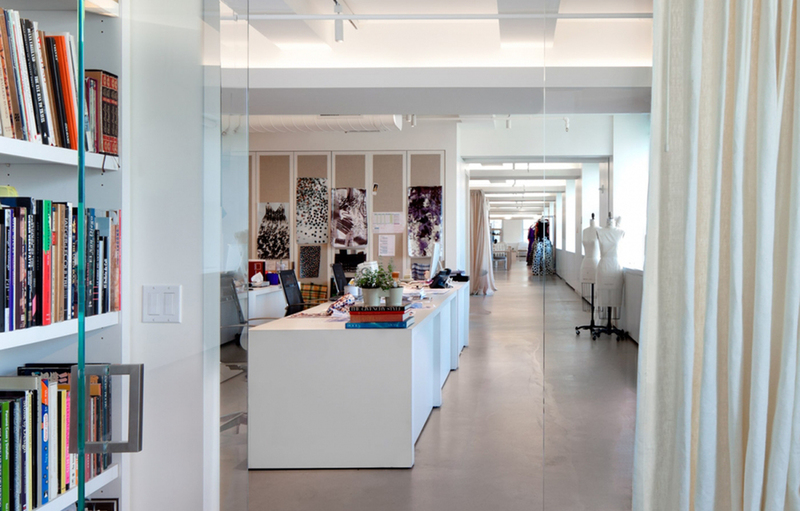 ODR — Tirschwell & Co. Inc.
Over two floors, this corporate office in midtown Manhattan houses the design, small fabrication, sales, showroom, executive offices, and ancillary spaces. Conveying a loft-like experience with intimate moments was crucial in the initial design discussions. As with any image-centered company, the client expected the effect of the lighting to be soft and luscious, and the visual components to be sharp and well detailed. Additional forces included an extremely budget-minded client and a short design schedule of about six weeks to bid.